Decorative Life: Months to years. Aucuba is a Latinized form of its Japanese name. 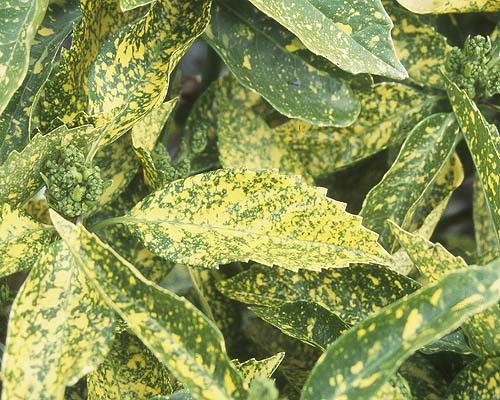 Full sun exposure in North America during the summer will likely cause leaf damage. Place in the coolest area of the home or office for maximum life. It is unknown if female or male plants have better postharvest characteristics or if they are equal.